This instrument is housed in Clement 317. 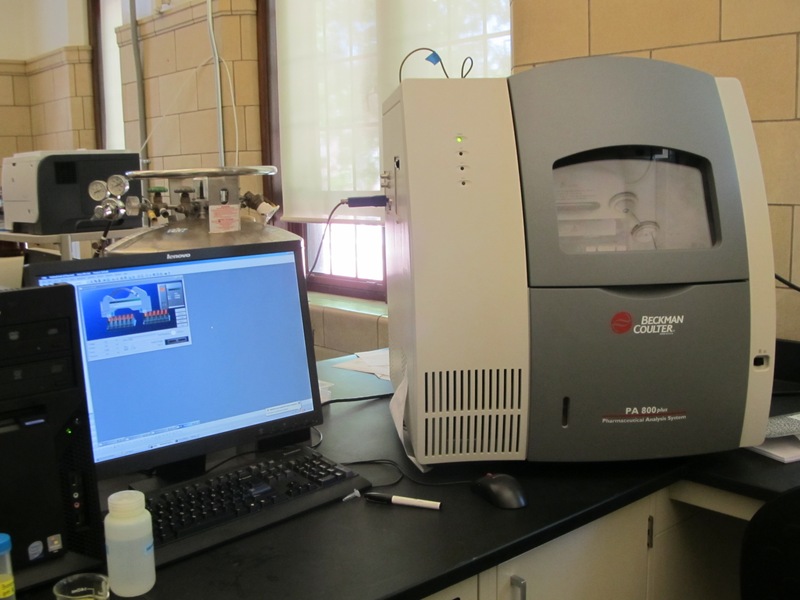 It is equipped with an autosampler, cooling system, and photodiode array and laser-induced fluorescence detectors. It is used primarily by the Kovarik lab and the Church lab for research and is available for use in project labs in Analytical Chemistry (Chem 311) and Instrumental Methods of Chemical Analysis (Chem 312).